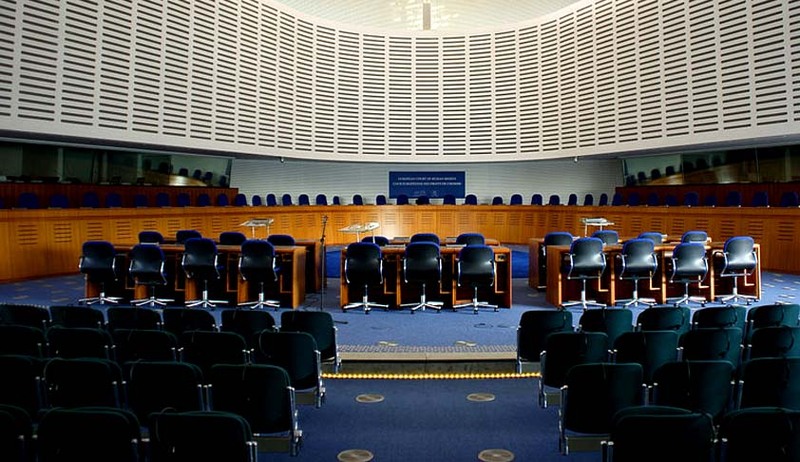 In a major setback to the global demand for free speech, the Grand Chamber of the European Court (ECHR) has confirmed in Delfi AS v. Estonia (no.64569/09) news portal’s liability for comments made on its website. The case reached the doors of 17 judges of ECHR with 2 dissenting from the majority opinion after extensive litigation in the country itself. Notably, all litigation was disposed off within reasonable time till the international level! We are mentioning dates for our readers as it must be noted how quick juridical systems can be. The case concerns Delfi AS, the news portal, that was found liable by the Estonian courts for its failure to prevent unlawful comments from being published in its comments section, despite having taken down the offensive comments as soon as it had been notified about them. The case is related to application against the Republic of Estonia lodged with ECHR under Article 34 of the Convention for the Protection of Human Rights and Fundamental Freedoms by Delfi AS, a public limited liability company registered in Estonia on 4/12/2009. The applicant company alleged that its freedom of expression had been violated, in breach of Article 10 of the Convention, by the fact that it had been held liable for the third-party comments posted on its Internet news portal. The applicant company is the owner of Delfi, an Internet news portal that published up to 330 news articles a day at the time of the lodging of the application. It is also one of the largest news portals on the Internet in Estonia. It publishes news in Estonian and Russian in Estonia and also operates in Latvia and Lithuania. At the material time, at the end of the body of the news articles there were the words “add your comment” and fields for comments, the commenter’s name and his or her e-mail address (optional). Below these fields there were buttons labelled “publish the comment” and “read comments”. The part for reading comments left by others was a separate area which could be accessed by clicking on the “read comments” button. The comments were uploaded automatically and were, as such, not edited or moderated by the applicant company. The articles received about 10,000 readers’ comments daily, the majority posted under pseudonyms. Nevertheless, there was a system of notice-and-take-down in place: any reader could mark a comment as leim (an Estonian word for an insulting or mocking message or a message inciting hatred on the Internet) and the comment was removed expeditiously. Furthermore, there was a system of automatic deletion of comments that included certain stems of obscene words. In addition, a victim of a defamatory comment could directly notify the applicant company, in which case the comment was removed immediately. The applicant company had made efforts to advise users that the comments did not reflect its own opinion and that the authors of comments were responsible for their content. On Delfi’s Internet site there were “Rules of comment” as well. On 24/1/2006 the applicant company published an article on the Delfi portal under the heading “SLK Destroyed Planned Ice Road”. Ice roads are public roads over the frozen sea which are open between the Estonian mainland and some islands in winter. The abbreviation “SLK” stands for AS Saaremaa Laevakompanii (Saaremaa Shipping Company, a public limited liability company). SLK provides a public ferry transport service between the mainland and certain islands. On 24 and 25 January 2006 the article attracted 185 comments. About twenty of them contained personal threats and offensive language. On 9/3/2006 SLK’s lawyers requested the applicant company to remove the offensive comments and claimed 500,000 Estonian kroons (EEK) (approximately 32,000 euros (EUR)) in compensation for non-pecuniary damage. The request concerned the twenty comments. On the same day, that is about six weeks after their publication, the offensive comments were removed by the applicant company. On 23/3/2006 the applicant company responded to the request from SLK’s lawyers. It informed them that the comments had been removed under the notice-and-take-down obligation, and refused the claim for damages. On 13/2/2006 SLK brought a civil suit in the Harju County Court against the applicant company. At the hearing of 28/5/2007 the representatives of the applicant company submitted, inter alia, that in earlier occasions cases like that of the “Bronze Night” Delfi had removed between 5,000 and 10,000 comments per day, also on its own initiative. By a judgment of 25/6/2007 SLK.’s claim was dismissed. The County Court found that the applicant company’s liability was excluded under the Information Society Services Act (Infoühiskonna teenuse seadus), which was based on the Directive on Electronic Commerce (Directive 2000/31/EC of the European Parliament and of the Council of 8 June 2000 on certain legal aspects of information society services, in particular electronic commerce, in the Internal Market). The court considered that the comment environment in the applicant company’s news portal was to be distinguished from the portal’s journalistic area. The administration of the former by the applicant company was essentially of a mechanical and passive nature. The applicant company could not be considered the publisher of the comments, nor did it have any obligation to monitor them. On 22/10/2007 the Tallinn Court of Appeal allowed an appeal by SLK. It considered that the County Court had erred in finding that the applicant company’s liability was excluded under the Information Society Services Act. The County Court’s judgment was quashed and the case was referred back to the first-instance court for fresh consideration. On 21/1/2008 the Supreme Court declined to hear an appeal by the applicant company. On 27/6/2008 the Harju County Court, having re-examined the case, found for SLK. In accordance with the Court of Appeal’s instructions, it relied on the Obligations Act and deemed the Information Society Services Act inapplicable. It observed that the applicant company had placed a note on its Internet site to the effect that comments were not edited, that the posting of comments that were contrary to good practice was prohibited, and that the applicant company reserved the right to remove such comments. A system was put in place whereby users could notify the applicant company of any inappropriate comments. However, the County Court considered that this was insufficient and did not allow adequate protection for the personality rights of others. The court found that the applicant company itself was to be considered the publisher of the comments, and it could not avoid responsibility by publishing a disclaimer stating that it was not liable for the content of the comments. The County Court found that the news article itself published in the Delfi news portal was a balanced one. A number of comments, however, were vulgar in form; they were humiliating and defamatory and impaired SLK.’s honour, dignity and reputation. The comments went beyond justified criticism and amounted to simple insults. The court concluded that freedom of expression did not extend to protection of the comments concerned and that L.’s personality rights had been violated. L. was awarded EEK 5,000 (EUR 320) in compensation for non-pecuniary damage. On 16/12/2008 the Tallinn Court of Appeal upheld the County Court’s judgment. It emphasised that the applicant company had not been required to exercise prior control over comments posted on its news portal. However, having chosen not to do so, it should have created some other effective system which would have ensured rapid removal of unlawful comments from the portal. The Court of Appeal considered that the measures taken by the applicant company were insufficient and that it was contrary to the principle of good faith to place the burden of monitoring the comments on their potential victims. The Court of Appeal rejected the applicant company’s argument that its liability was excluded under the Information Society Services Act. It noted that the applicant company was not a technical intermediary in respect of the comments, and that its activity was not of a merely technical, automatic and passive nature; instead, it invited users to add comments. Thus, the applicant company was a provider of content services rather than of technical services. On 10/6/2009 the Supreme Court dismissed an appeal by the applicant company. It upheld the Court of Appeal’s judgment in substance, but partly modified its reasoning. According to the judgment of the Court of Appeal, the contents of the comments were unlawful; they were linguistically inappropriate. Value judgments ... are inappropriate if it is obvious to a sensible reader that their meaning is vulgar and intended to degrade human dignity and ridicule a person. The comments did not contain any information which would have required excessive verification on the initiative of the portal operator. Hence, the defendant’s allegation that it was not and should not have been aware of the unlawfulness of the comments is groundless. On 10/10/2013 a Chamber delivered its judgment. It decided unanimously to declare the application admissible and held that there had been no violation of Article 10 of the Convention. On 8/1/2014 the applicant company requested that the case be referred to the Grand Chamber in accordance with Article 43 of the Convention, and the panel of the Grand Chamber accepted the request on 17/2/2014. In confirming the previous Chamber's decision, the ECHR showed a profound failure to understand the EU legal framework regulating intermediary liability. The decision is expected to have a serious chilling effect on freedom of expression beyond the Council of Europe states. It may also greatly undermine the news publishers’ business model at a time when the news industry is already struggling.” In October 2013, the European Court concluded unanimously that the domestic courts’ findings were a justified and proportionate restriction on Delfi’s right to freedom of expression. The case was thus referred for consideration by the Grand Chamber of the European Court, which today confirmed by fifteen votes to two that there had not been a violation of Article 10 of the European Convention on Human Rights. The court dealt with Articles 17, 19 and 45 of the Constitution, Subsection 2 of section 134, section 1047, 1045-1074, 1050 and 1055 of the Obligations Act, Section 138 of the Civil Code (General Principles) Act, Information Society Services Act and Article 244 of the Code of Civil Procedure. The Court has confirmed a decision which is expected to not only significantly undermine EU legal framework in this area, but has also to provide an even lower threshold of protection for free expression online than the EU notice-and-takedown regime. Under the E-Commerce Directive (ECD) in Europe platforms like Delfi are immune from liability, provided they remove defamatory content as soon as they receive notice. It is only if they fail to take action upon notice that they become liable for third party content. The shortcomings of this system have been however time and again debated. In order to avoid liability, intermediaries tend to err on the side of caution and remove legitimate content. As the UN Special Rapporteur report, this has a serious chilling effect on freedom of expression. The decision imposes liability on a news portal for the comments of its users, which not only flies in the face of regulation on intermediary liability, but is likely to discourage news portals from maintaining comments sections onto which users can post freely or anonymously. This would interfere with a valuable forum for expression, discussion, and engagement with issues online, and constitutes a significant limitation on the freedom of online expression. In India, Sec 79 of the Information Technology Act, 2000 offers protection for intermediaries mentioning cases in which they cannot be ascertained liable and cases where they will be. Recently, in Shreya Singhal’s case, Sec 66A of the Act was quashed and constitutional validity of Sec 79 and 79A was upheld. Last month, US Supreme Court also rendered a landmark judgment in free speech. The judgments of ECHR as such are not wholly authoritative on Union of India as the punctuations of International law command that among municipal countries, judgments will be in personam generally. However, they have a very strong persuasive value and can be used and relied upon thoroughly for elaborate discussions on points of law.